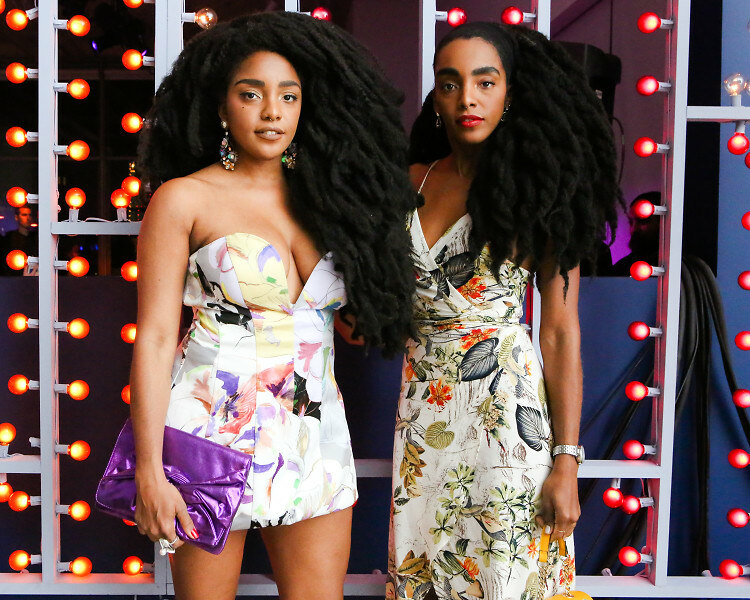 Every year, our favorite night at the museum proves to be the Whitney Gala and Studio Party. The opposite of a stuffy art soirée, Tuesday's downtown bash saw fashionistas, It Girls, and plenty of patrons letting their hair down in support of the arts. Celebrating the Whitney Biennial, this year's event was extra special, a toast to the 60+ American artists that have helped make the museum an incomparable destination in New York City, and, well, the world. Katie Holmes, wearing Michael Kors (one of the evening's sponsors along with Audi), joined gala co-chairs including Leslie Bluhm, Brooke Garber Neidich, and Laurie M. Tisch for the dinner on the first floor, which honored Neil G. Bluhm and featured a performance by the Chris Norton Big Band Jazz group. Afterwards, guests headed up to the 8th floor to finish off the night getting down at the Studio Party. DJs Sam French and Kitty Cash, lit up by a huge light installation, kept the crowd grooving. Mini bottles of prosecco in hand, chic attendees made their way between digital photo booths and the outdoor space, which offered gorgeous views of the city skyline and surrounding Meatpacking District. All in all the night raised a whopping $5.1 million for the Whitney, an unsurprising number considering how much fun we all had. Of course, one of the best parts of the bash was everyone's all-out, art-inspired looks. Click through to see the best dressed guests! Go HERE for more photos by Stephen Smith!